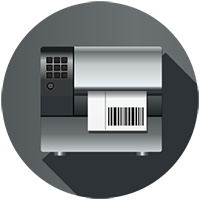 In offices, industry and retail, printers are used in production or transport environments, for example to print barcodes, labels or receipts. If you are looking for industrial printers, you now have an enormous selection. Some entrepreneurs may also be tempted to acquire one of the cheaper desktop models for home use. In order for the printer to fulfill its purpose in the particular application, some aspects should be carefully weighed before making a purchase. The most important criterion for the choice of the right printer is the area of use and scope of application. In contrast to the desktop variant, the more expensive industrial printers are particularly suitable for large print volumes and high printing speeds. The format diversity is generally larger than that of a home printer. The devices are also often exposed to harsh environmental conditions with temperature fluctuations, moisture, dirt and dust. Therefore, industrial printers are designed for a long product life cycle, are particularly robust and dust-proof. For industrial label printers, a lot more accessories are available, such as cutting devices, feeders and unwinders, collecting boxes and interface extensions. As a rule, industrial printers can be easily connected to existing merchandise management systems. Many industrial printers offer more space for larger amounts of printing materials than conventional desktop printers. This results in higher productivity, especially when the time pressure is high, as the materials do not have to be refilled all the time. Today, space-saving, compact models and even mobile industrial printers are also available. The more expensive models among the industrial printers are mainly profitable through optimized workflows, shorter waiting times, as well as lower integration and maintenance costs. When purchasing a printer, the first focus is often on the cost of the purchase. However, in particular, the expected operating costs should be included in the calculation, since purchase price and material consumption represent only a comparatively small proportion of the total lifetime costs for a printer. Any failure of the printer hinders productivity and drives costs up. Reliability, maintenance costs, repair times and possibilities of remote maintenance are important criteria when choosing an industrial printer. Special available guarantees and maintenance contracts for industrial printers ensure that even in the event of a failure corporate operations are hindered as little as possible. Direct thermal printing and thermal transfer are now the most common methods for label printers.  In thermal direct printing, a special paper is blackened by heat and thus the print is created. Apart from the paper or label roll, no further consumables (ink, toner etc.) are required. The consumption of material is therefore lower and less costly than with other solutions. At the same time, less waste is generated. Direct label printing can only be used with thermal direct printing. However, the printing process has some major disadvantages: since special thermal paper is needed, the material selection is limited. The paper is very temperature sensitive, which should be taken into account during storage. Printed labels are sensitive to heat and light (sun exposure), pressure and abrasion. The effects range from discoloration to complete fading of the print. The thermal direct printing process is therefore preferably used for prints and labels, which must be available only for a limited time, such as tickets, sales slips and dispatch labels.  The thermal transfer printing uses ink that is melted and bonded to the paper by a heat ribbon. These prints are also possible in color, more durable and possible on a variety of materials. The additionally required ribbon generates more material, costs and waste. In addition to the paper, the ribbon must also be regularly replaced. The thermal transfer printing process is more expensive than direct thermal printing. The printing method is mainly used when longer-lasting prints are required, such as in the case of food, quality control or for device identification. Mobile printers impress with their compact design and fit in virtually any pocket. They enable the fast, flexible and mobile printing of documents, labels and barcodes on the spot, whether in storage and transport, in the hospital, in the mail-order business or in the wholesale and retail trade! Since mobile printers usually have to function wirelessly due to their range of use, the battery life plays an important role in contrast to desktop models. Also, the print formats are limited by the compact design. Many mobile printers use the thermal direct printing process and are therefore only suitable for short-life prints. In our portfolio, we offer a selection of high-quality industrial printers from well-known manufacturers.